We’ve offered Dry erase vinyl for several years now. And for most of that time, we’ve received fairly persistent questions about printing. The market yearns for printable dry erase vinyl. Until now, we’ve had to advise people to simulate printable dry erase by laminating clear dry erase vinyl over printed graphics. If you don’t have a laminator, that may be an unsatisfactory solution. Fortunately, we now have a better option. Our new Endura Dry Erase vinyl is solvent printable. So now, if you own a PrismJET VJ24, VJ48, or some other eco-solvent or solvent inkjet printer, you can offer your customers a truly custom dry erase product that will be more satisfying and effective. Here’s the lowdown on our new Endura Printable Dry Erase vinyl. Endura Dry Erase is a 3mil glossy white PVC vinyl with a solvent-free, environmentally friendly, write on-wipe off coating. It comes on a 90# Stayflat polyethylene-coated release liner and features a removable acrylic adhesive. The non-porous face film holds markings and erases cleanly with just a soft, dry tissue. It’s been tested and found to be compatible with all major brands of dry erase markers and it’s made in the USA. We offer Endura Dry Erase vinyl in 24″ x 10 and 24″ x 50 yard rolls. 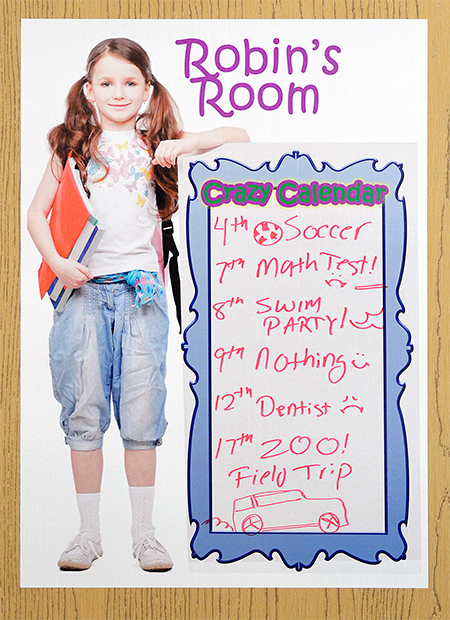 Endura Printable Dry Erase Vinyl is ideal for home décor, schools & day care centers, retail P.O.P. and office applications. Because the vinyl has a removable adhesive, you can turn any smooth wall surface into a dry erase board. It can be applied to painted wall surfaces without risk of damaging the paint when it’s removed. There’s no need to permanently mount anything to the door or wall. This is great news for sign shops looking for new revenue opportunities from commercial customers. Because it’s removable, it’s also ideal for home interior décor and educational applications. The first question we need to address is what settings work best for digital printing. Since this is a very glossy media, you should choose an ICC Profile for gloss vinyl. Our test graphics worked very well with an ORAJET 3551 profile using MUTOH’s Graphics 2 print mode. This produces good color and ink density without oversaturation. For faster curing and drying, set your pre-heater in the 45 – 48°C range, the platen heater at 45-50°C, and the dryer at 50°. Small graphics can be applied by hand. For larger decals, we suggest using a medium-tack transfer tape with a hinge method (Fig 1). Treat it like a large automotive decal. Be sure the print is sufficiently dry before applying the transfer tape. If you write on it with a dry erase marker before pre-masking, you’ll find that removing transfer tape is a pretty good method for cleaning dry erase vinyl. Designate un-printed areas for the dry erase write-on, wipe-off surface. Just as solvent based markers eliminate the dry erase properties of the face film, solvent based ink does too. So if someone writes over a printed segment of the film with a dry erase marker, those marks may not wipe off. Speaking of removal; remember that all removable adhesives become permanent if left in place too long. If you apply any wall graphic and leave it in place for several years, you may not be able to re move it without some damage to the paint. Finally, remember that removable doesn’t mean repositionable. Because this is a 3 mil vinyl, you can’t pull it off and apply it elsewhere like a ‘Fathead’ poster. The film is too thin to be removed and reapplied without stretching it. 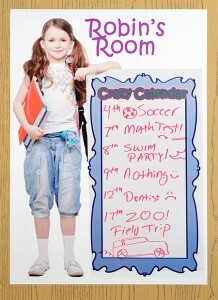 Endura Dry Erase is designed to be applied in one location, as a short to medium term decoration, then removed. If you’re one of the many customers who have been asking for printable dry erase vinyl, the wait is over. 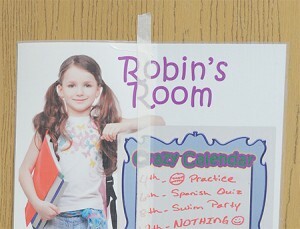 Endura Printable Dry Erase vinyl is the customizable, write-on wipe-off wall graphic solution you’ve been waiting for. Click here to get yourself a roll or three and start spicing up a vertical space near you.